And the rest of a neat story . 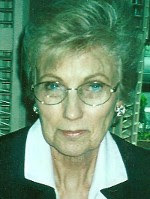 . .
“I just hung up from talking to Evelyn Hendrickson Reller. Chuck Hendrickson returned my call and gave me her address. He visited for a long time considering I haven't seen or visited with him since 1956. Evelyn is his sister. I called her and she was ecstatic to find out I had her year book from 1952. I will be sending it to her after the long holiday weekend. She has been a widow for a few years and lives in Minnesota. She said that she and her husband were in Montana and lost their belongings first in a fire and later in a flood and all that they had in the way of personal memories were hauled to the dump as a result. I apologized for having read so many of the cherished notes that classmates had written in her book but I told her of notes from Carlyle and a few others and she asked, "Was there one from a "Sharon"? I said, yes, and by comparing signatures I assumed it was Sharon Moore. That nearly left her speechless for a second or so. 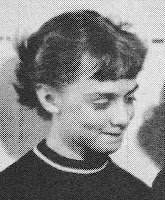 It seems Sharon was her close friend at DHS (a sister of Marcia Moore). 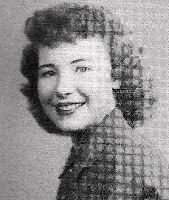 Sharon passed away sometime ago but was one who Evelyn had kept in contact with for all the years. Small world. Is this a neat ending to the search for Evelyn Hendrickson Reller or what! According to our exhibits director, a taxidermy mount is primarily of the hide on the animal stitched over a carefully formed manikin to resemble a life like pose. In this case (as with many mounts of the period) the Comanche mount also contains the skull, hip and shoulder bones and the long leg bones and hooves of the horse incorporated into the manikin form upon which the hide was stretched and sewn on. The burial then must have been of the rest of the remains. A large framed orginial print of this picture hung in the Franklin Hotel lobby for years. This is "Comanche" the horse which was the only living thing found on Custer Hill after the June 25th 1876 Battle of the Little Big Horn or whatever it is called today. Comanche was a mixed Mustang Morgan horse who survived General George Armstrong Custer's detachment of the US 7th Cavalry at the Battle of the Little Bighorn. 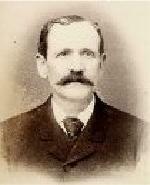 He was bought by the U.S. Army in 1868 in St. Louis, Missouri and sent to Fort Leavenworth, Kansas. 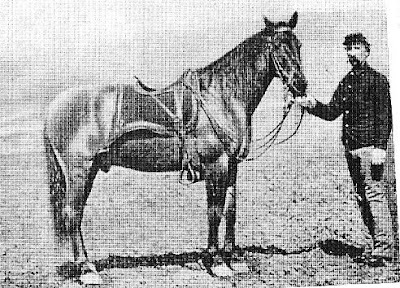 Captain Myles Keogh of the 7th Cavalry liked the 15 hand bay gelding and bought him for his own personal mount, to be ridden only in battle. In 1868, while fighting the Comanche in Kansas, the horse was wounded in the hindquarters by an arrow, but continued to let Keogh fight from his back. Thus the horse was named “Comanche” to honor his bravery. Comanche was wounded many more times, always exhibiting the same toughness. On June 25, 1876, Captain Keogh rode Comanche at the Battle of the Little Bighorn, led by Lt Col. George Armstrong Custer. The battle became famous when their entire detachment was killed. Comanche was found two days after the battle, badly wounded. After being transported by steamboat to Fort Lincoln, he was slowly nursed back to health. After a lengthy convalescence, Comanche was retired and orders were given that he should never be ridden again. As an honor, he was made “Second Commanding Officer” of the 7th Cavalry. At Fort Riley, he became something of a pet, occasionally leading parades and indulging in a fondness for beer. 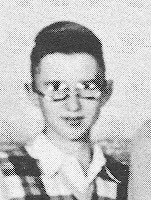 His remains were sent to the University of Kansas and preserved, where they can still be seen. Comanche is often described as the sole survivor of Custer's detachment, but like so many other legends surrounding the Little Bighorn battle, this one is false. As historian Evan S. Connell writes in Son of the Morning Star: "Comanche was reputed to be the only survivor of the Little Bighorn, but quite a few Seventh Cavalry mounts survived, probably more than one hundred, and there was even a yellow bulldog. Comanche lived on another fifteen years, and when he died, he was stuffed and to this day remains in a glass case at the University of Kansas. So, protected from moths and souvenir hunters by his humidity-controlled glass case, Comanche stands patiently, enduring generation after generation of undergraduate jokes. The other horses are gone, and the mysterious yellow bulldog is gone, which means that in a sense the legend is true. Comanche alone survived." 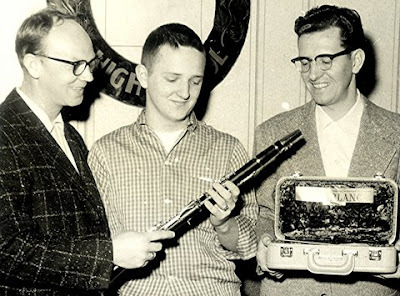 Ron Maas presents Ron Hennen DHS 57 with new clarinet as DHS Music Teacher Vern Clark looks on. 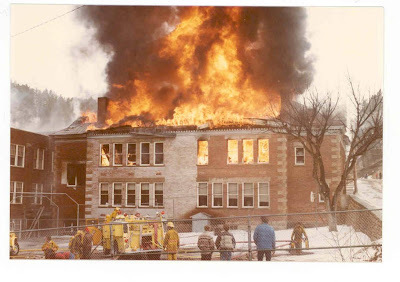 When contacted Ron Hennen said "You might be talking about the clarinet I won in an essay contest and supplied by Ron Maas. It wound up in the possession of one of the daughters of Chuck and Adeline Wickstrom (Hennen's neighbors and friends in Central City SD) years ago. I never did play it well and haven’t played any instrument, including keyboard, for probably 45 years." The three beauties in back with little Ron Chyba are left to right, Frannie Wagner, Sue Litz and Marcia Kay Pavich. In middle is Captain Bob and Joe Chyba's hat. In front left to right, is Janet Chyba, Elaine Fish and Marcia Moore. ?? picture year and location . . . who took picture?? Reunion attendees will receive a surprise goodies bag, one of these wrist bands, and a name tag for each paid registration. The wrist band is required for event admission and to get food/beverage at the picnic and the banquet. A cash bar wail be available at the picnic for beer, wine, and pop. 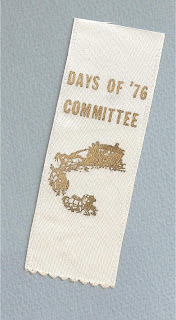 The name tags are required at all times as a courtesy to other reunion attendees and support personnel at the picnic and banquet. Really bad day . . . I have more of this series if there is interest. 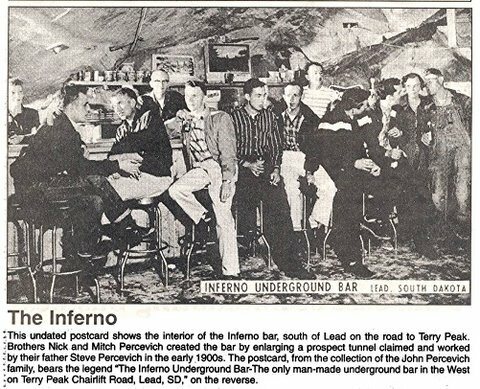 They say it was the only man-made underground bar in the West . . .
Hey, that looks just like Sandy Gravelle Beshara DHS 57!! 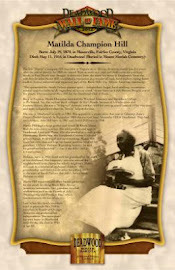 "I want to let the dhsclassmates know that I will be doing a book signing at the Adams Museum on the Reunion Saturday with proceeds going to the Museum. I look forward to seeing everyone during our 2007 DHS Reunion celebration." 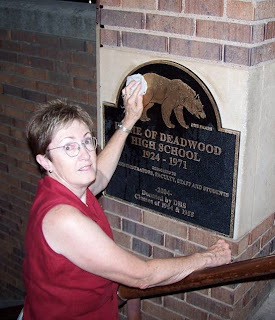 DEADWOOD – The Adams Museum will host Yvonne Hendrickson for a book signing on Saturday, September 8, 2007 from 1:00 to 3:00 p.m. The event is free, open to the public and wheelchair accessible. According to Hendrickson, seeds of sin produce bad fruit filled with secrets that have a way of finding their way to the surface. The book is a work of fiction set in the 1950’s that focuses on a farming family in the Yakima Valley of Washington State. Yvonne Hendrickson was born and raised in Deadwood, SD. She and her husband live in Gig Harbor, WA and have two sons and a grandson. This is her first work of fiction. 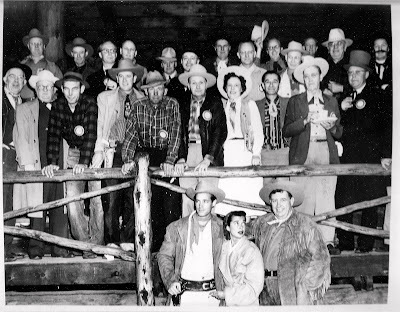 The book signing is sponsored by the Deadwood Historic Preservation Commission, Deadwood Gulch Resort & Gaming and Cadillac Jack’s Gaming Resort. The Adams Museum, Historic Adams House and Homestake-Adams Research Center identify, preserve, collect, interpret and promote the history and culture of Deadwood and the surrounding Black Hills. Picture courtesy of Bob Heller. Hi from DHS 1952! 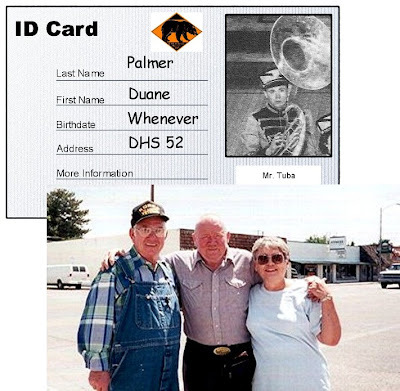 Here is picture of myself, Duane Palmer and my wife Phillis taken in Mountain Home ID. Duane's music store is the white front building in right background. These pots are still standing on the head of the stairs leading into the main DHS door and the other access by the Franklin Hotel. They seem beyond repair or restoration. Bill Beshara had them cleaned recently. The Deadwood Methodist Church on Shine Street outlived its membership and structural integrity so it was torn down a few years ago. This memorial replaces the original church but the parish home remains. For great views of the old church see the interesting digital image review of Deadwood: http://archive.cyark.org/media.php?project=DWD. Remember the exquisite flavor these berries of the plum family give to jam or jelly? Served on hot toast, pancakes, or French toast is very close to heaven. You can still find and buy pretty good commercial products but home made is the best. Rotary is a worldwide organization of business and professional leaders that provides humanitarian service, encourages high ethical standards in all vocations, and helps build goodwill and peace in the world. Can you name each of the professions represented in this group? Funny the grave stone maker is standing next to the mortician. Select http://www.flickr.com/photo_zoom.gne?id=1074825294&size=l for large image. Just wanted to tell you that I've been enjoying the blog so much! The story about Mr. Clark brought back lots of memories of playing the drums and cymbals in the high school band and city band. Wish I could be there for the reunion, but since I can't, I hope to see pictures and news. Thank you for all the work you've put in to this. I called Connie (McCarroll) and told her about it, also. Warm regards to anybody that might remember me.